Asheville, NC- Asheville Creative Arts (ACA), Asheville’s professional children’s theatre announces the first production of its 6th Season, FAILURE: A LOVE STORY, a whimsical modern fairytale with direction by Abby Felder and Eva von Schweinitz, and musical direction and arranging by Gina Stewart and Brenda Gambill of Jonesalee. The show, which will be held at the company’s new theatre home, Magnetic 375 (375 Depot Street), will run from April 5-15, Fridays at 7pm, Saturdays at 1pm and 4pm, and Sundays at 1pm with added performance Sunday April 8 at 4pm and Thursday April 12 at 7pm. Tickets are $12 for students and $23 for adults and are available at the company website, https://ashevillecreativearts.org/purchase-tickets. FAILURE: A LOVE STORY has a whimsical chorus that relates the story of 3 sisters Nelly, Jenny June, and Gerty as they live out their lives above the family clock repair shop near the Chicago River. This magical, modern fairy tale follows the journey of 3 girls growing to adulthood and shows that in the end, the power of love is far greater than any individual’s successes or failures. FAILURE: A LOVE STORY will include weekday matinee performances for camp and school groups from April 4-6 and 10-13 with specially discounted $5 and free tickets, plus pre-show study guide designed in accordance with Common Core benchmarks for learning, and post-show Q&A underwritten by generous individual donors with limited full price tickets available to the public. For information on booking these shows, contact Abby Felder at 914-830-3000 or at abby@ashevillecreativearts.org. FAILURE: A LOVE STORY is generously supported by the North Carolina Arts Council, a division of the Department of Natural and Cultural Resources. ACA gives special thanks to the Asheville Area Arts Council. ABOUT THE COMPANY: Asheville’s critically acclaimed, award winning theatre devoted to creating works for children of all ages, Asheville Creative Arts was founded in 2013. Led by Abby Felder with Gina Stewart and Brenda Gambill of Jonesalee, and with a new Resident Company of local and national talent helmed by Katie Jones, Alex Smith, Daniele Martin, Anthony Napoletano, Nehprii Amenii and Marie Yokoyama. ACA has the following mission: to produce, present and create professional and innovative theatre for the very young to the young at heart, and embrace diverse cultures with a main stage season of productions of musical, literary adaptations, and puppet based work that push the boundaries of children’s theatre; to train the next generation of artists; and to ensure that all families in Western NC and beyond have access to theatre arts through outreach such as touring, and “in-reach” such as specially discounted performances for school and community groups. 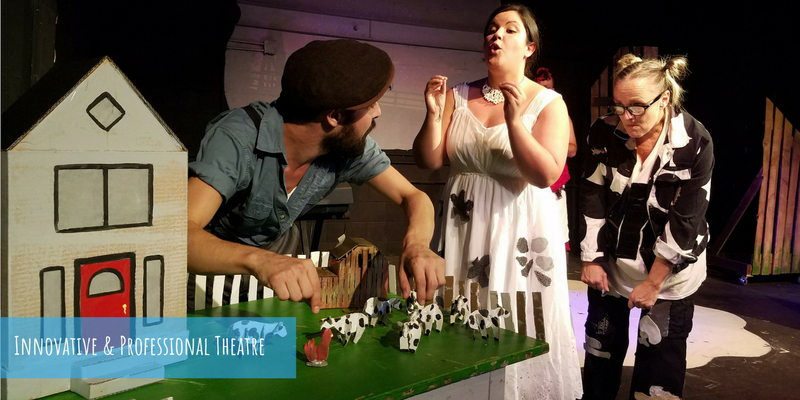 In honor of contributions to the cultural landscape, Asheville Mayor Esther Manheimer declared July 18, 2014 “Asheville Creative Arts Day;” and CLICK, CLACK, MOO, the company’s summer production from 2017, received an award from Puffin Foundation West. 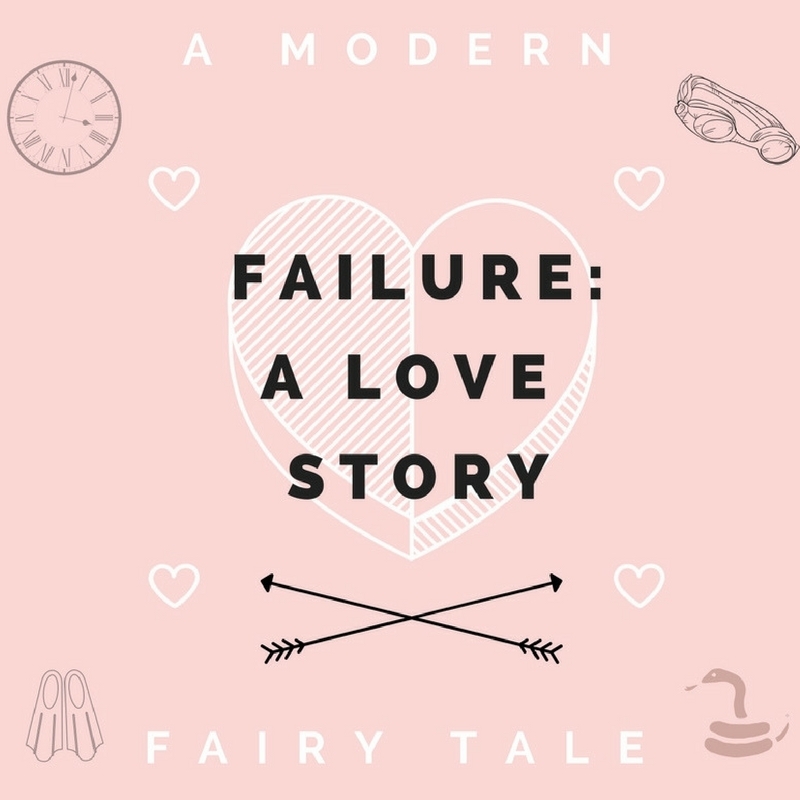 LISTINGS INFORMATION: FAILURE: A LOVE STORY runs April 5-15, 2018 at Magnetic 375 (375 Depot Street in the River Arts District). Public performances are Friday at 7pm, Saturday at 1pm and 4pm, and Sunday at 1pm, with added performances Sunday April 8 at 4pm and Thursday April 12 at 7pm. Visit Asheville Creative Arts’ website for information on how to get tickets which are $12 for students and $23 for adults (https://ashevillecreativearts.org/purchase-tickets/); For more information on booking Camp or School Matinees ( April 4-6 and School Matinees April 10-13, 2018), with $5 tickets for campers and counselors, contact abby@ashevillecreativearts.org or call 914/830-3000, these performances also have limited full-price tickets available to the public. Additional information about ACA’s 6th Season available at www.ashevillecreativearts.org. For more information about The Magnetic Theatre visit http://www.themagnetictheatre.org/.